Whether you are about to go out in a sculling boat for the first time, simply enjoy recreational sculling, or have aspirations to be a member of the national team, this book contains information that will help you to improve your performance and maximize your potential. Sculling considers the principles that underlie training, technique and the correct adjustment of the boat's rigging and gearing. It also offers practical advice on how those principles can be applied. 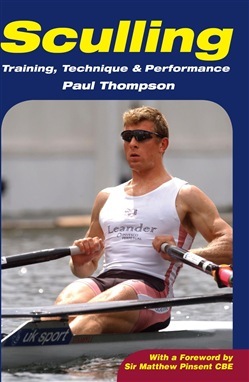 In addition, the book covers a wide range of other important subjects, including; technique and training; confidence building and mental skills; racing strategies; physiological requirements; healthy sculling, nutrition and injury prevention; effective learning and coaching; safety; and different types and designs of sculling boats, blades and equipment. Written by an internationally successful rowing and sculling coach, this comprehensive book will be invaluable to all scullers and their coaches. Acquista Sculling in Epub: dopo aver letto l’ebook Sculling di Paul Thompson ti invitiamo a lasciarci una Recensione qui sotto: sarà utile agli utenti che non abbiano ancora letto questo libro e che vogliano avere delle opinioni altrui. L’opinione su di un libro è molto soggettiva e per questo leggere eventuali recensioni negative non ci dovrà frenare dall’acquisto, anzi dovrà spingerci ad acquistare il libro in fretta per poter dire la nostra ed eventualmente smentire quanto commentato da altri, contribuendo ad arricchire più possibile i commenti e dare sempre più spunti di confronto al pubblico online.